The violent demise of the Middle East's longest-ruling leader – who came to office in September 1969, just a few months after Richard Nixon – stands well outside the mainstream of the region's politics, but then Moammer Gaddafi always did. 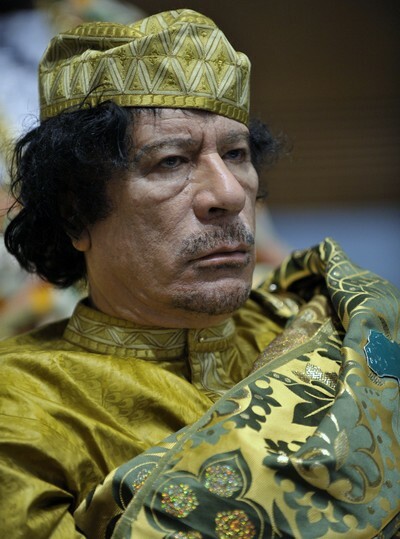 Gaddafi (for the record, the correct spelling of his name is Mu'ammar al-Qadhdhāfi, معمر القذافي‎) began his rule at the tender age of 27, just as Pan-Arabist ideology was dying down; undeterred, long after others had given up on this fantasy, he remained a proponent of the notion of turning all Arabic countries into one gigantic whole. Eventually frustrated with Arabic-speakers, where the small population of Libya limited his influence, he turned south, where his outsized energy income bestowed real clout in Africa. Fortunately for the world, every one of his hare-brained schemes came to naught. What I observed in 1981 still holds true: "For all Qadhdhafi's hyperactivity, he rarely gets his way; empty promises and fanaticism on his part have repeatedly undermined his ceaseless efforts to project power. … Qadhdhafi has won many battles but not a single war." "No One Likes the Colonel"